(Thank you to @ericsmithrocks & @GibbsSmithBooks) for my first BabyLit copy! 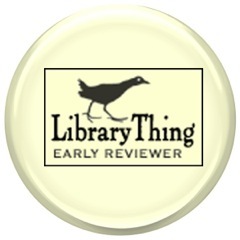 My two cents: I had heard of the BabyLit series, but had not held one in my hands. They sure sounded great, but I am a middle school reading specialist so they were honestly kind of low on the TBR stack. 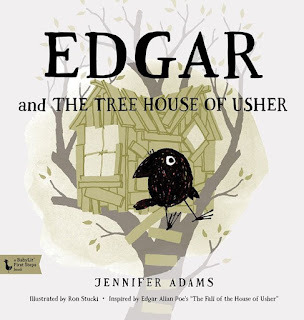 When I got an email to take a look at Edgar and the Tree House of Usher , I thought that I would probably like it. I mean, any bibliophile has to at least like the idea of putting classical readings in children's hands as young as possible, right? And who doesn't love Poe? I mean, c'mon now! So... if I said that I liked it, no one would really be surprised. BUT... if you look over at my "highest recommendation" tag, you will see that I am very sparing with that tag. 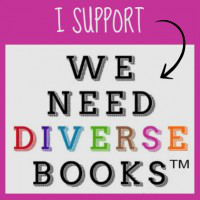 Most of the books in that category have won big prizes or accolades. I stake my reading reputation on that tag. Edgar and the Tree House of Usher is marvelous! It follows the general plot of The Fall of the House of Usher, with name dropping and illustration references galore. But, when this house falls, the outcome is less bleak and has a little lesson on equality and fairness thrown in (without a hint of moralizing). How wonderful that children can have some background knowledge of our beloved classics. I want all of the BabyLit now (well, I'd really like to have a grandchild to go along with it, but that's for the personal blog)! Teachers and librarians: if you haven't been purchasing this series yet (and especially the Edgar ones! ), I suggest you get your hands on them quick. 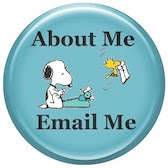 Publisher's Synopsis: ""It was a dull, dark, and soundless day in the autumn of the year ... " when the mischievous raven Edgar heads to his friend Roderick's house to work on their tree house. Edgar dashes his sister Lenore's hopes with the ever-popular phrase "sisters are not allowed," until a storm starts to brew and the two boys realize that sometimes the best things happen when you decide to stick together. 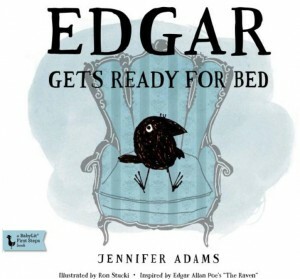 The third picture book in the popular Edgar series is sure to warm the hearts of kids and parents alike. JENNIFER ADAMS is the author of more than two dozen books, including titles in the Baby lit series, which introduces children to the world of classic literature. She lives in Salt Lake City. Visit her website at jennifer-adams.com. 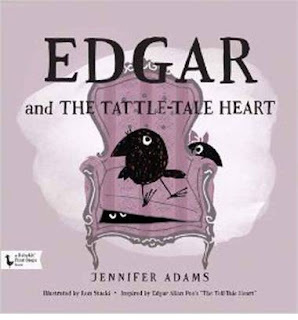 RON STUCKI is a graphic designer and illustrator of Edgar Gets Ready for Bed and Edgar and the TattleTale Heart. Ron lives in Utah and Idaho. Visit him at rstuckidesign.com."